I am super excited to learn that GRANDMOTHER'S VISIT has selected on the 2019 short list for the IODE Ontario Jean Throop Book Award!!! Oh... WOW!!! Congratulations to all other nominees! Proud to be Ontario authors and illustrators! 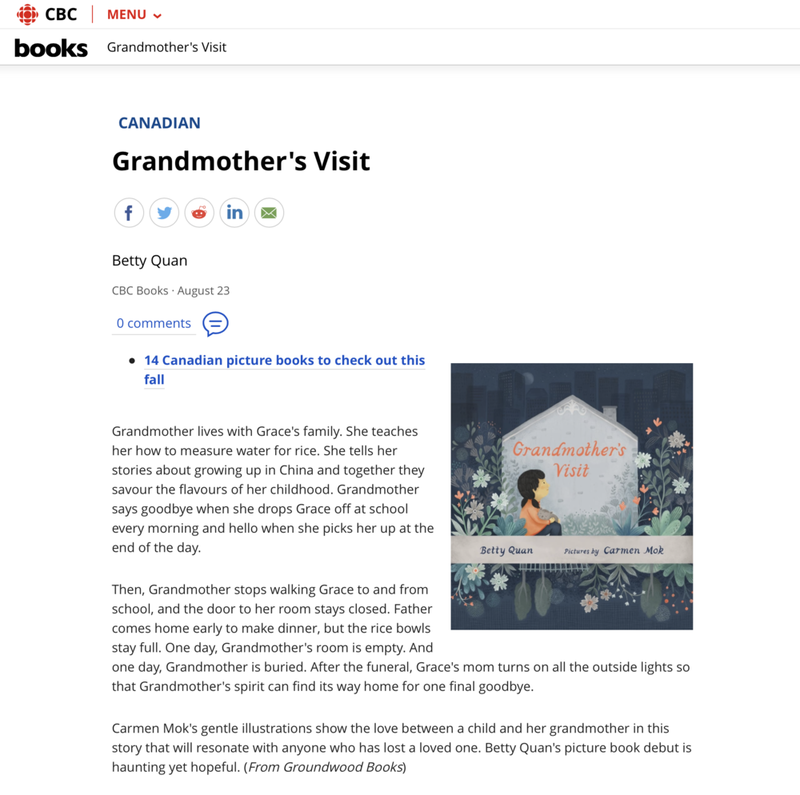 It was a great honour that GRANDMOTHER’S VISIT was chosen for the Ontario Library Association Best Bets List as well as Honourable Mention. I had great fun time to talk about the book at the Ontario Library Association Super Conference in Toronto Convention Centre today! 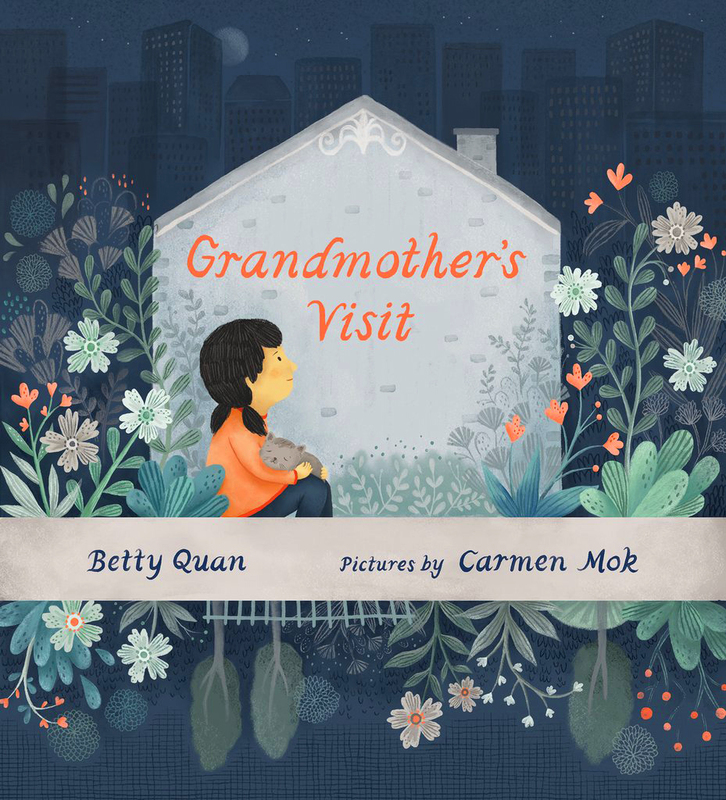 GRANDMOTHER’S VISIT has been selected as the honor title of the 2018-2019 Asian/Pacific American Award for Literature in the Picture Book category! Grandmother's Visit was reviewed in New York Times! I am super excited to see GRANDMOTHER’S VISIT was reviewed in New York Times! It means millions to me!!! YAY!!! You can read the full passage here. GRANDMOTHER'S VISIT book launch went very successfully. I was overwhelmed by the crowd who joined us in the special day. It was not only a launch for a new picture book, it was also a memory dedicated to both Sheila Koffman, Another Story Bookshop owner, as well as to Sheila Barry, publisher of Groundwood Books, who passed away in 2017. There are many other great picture books on the list here! I am very excited to share that my next picture book GRANDMOTHER’S VISIT will be released by Groundwood Books in September!!! I dropped by their office today to take some photos and doodle video today! Book launch party will be collaborated with the author Betty Quan on September 16 (Sunday) from 4pm to 6pm at Another Story Bookstore,Toronto. I like the girl’s fluffy hair is like mine. Well... I think I am drawing myself there! I will make a big one soon! 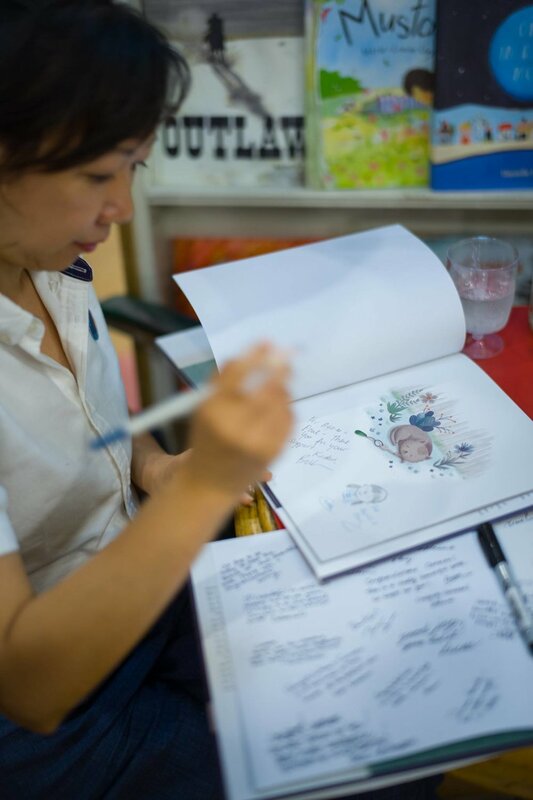 People always asked: When you make picture book, does picture or word come first? For me, there were many times my characters came first. If I like them, I will find a story for them! I have been learning to draw with limited colour palettes in traditional way. It seems less colours were used but it does not mean easier. I need to plan ahead the colour combinations, especially for the white areas. The biggest challenge of painting on paper (not on the tablet) is there is no "undo" button, the white has to be unpainted, if I made a wrong decision I have to repaint the whole piece. This piece was just my quick study so it is just fine if I made a mistake. Sometime I like the improvisation from my sketch, I see some surprises there! After working with digital media for some time, it is so much fun to stretch my head to go back to traditional media. I love taking the challenge! Is there anyone having same weirdness like me? I am right handed. When I feel my drawings are too well control, I shifted to draw with my left hand. But my weird brain only makes me write mirrored text with my left hand, naturally without thinking. So I created this video to show you how strange it is! Stay till the end for my writing please! Stay weird and you are loved! 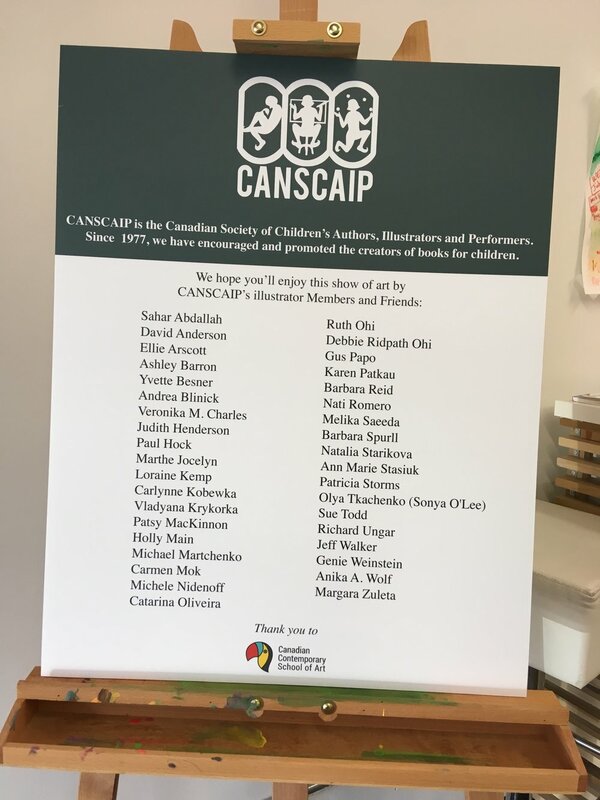 It was my honour to participate the CANSCAIP Art Show 2018 at The Canadian Contemporary School of Art. We have total of 37 talented children's book illustrators exhibiting over 60 pieces of art. The show will be on going until May 31, 2018. Please find time to check it out! This is the detail info of the CANCAIP Art Show. We had a wonderful evening in the opening reception, it was filled with people, I was so happy to meet up many illustrators, writers and editors! Credit for some photos: Paul Hung. I joined SCBWI since 4 years ago. I have learned so much from their conferences, workshops, critique groups, local gatherings and so on. 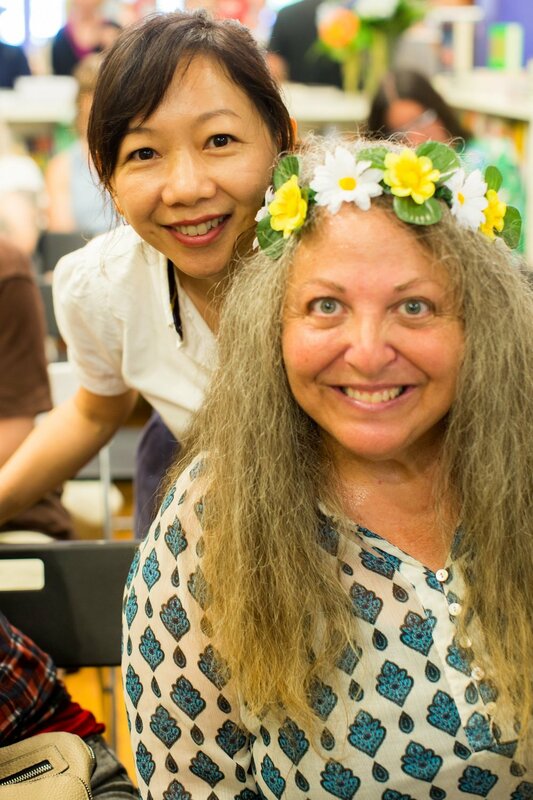 I met so many amazing talented people there, they share my frustration and excitement, they inspire me, listen to me, hug me, point me to a direction when I am lost. They help my growth in my career and keep me company in my journey. If you know me there, you are one of them. I just returned home from the annual conference with 2 awards, and loads of inspirations and friendship! I am totally overwhelmed by their supports and encouragements. I am a hard worker I have to admit, perhaps little too harsh to myself sometime. I may easily miss what I have accomplished until I was told. The affirmation certainly means A LOT to me!!! I met so many talented people there, they are just like this illustration I made. It was two years ago I created this black and white hand-lettering as a fun personal project. It caught attention from Robert Kaufman Fabrics, they like to take my designs to create a collection. It is a dream comes true that I have a fabric line with my illustrations! Check my full illustrations here! I’m developing some new illustrations with gouache and colour pencils, and fall in love with these guys I made today! For seeing individual illustration, please go to here. This is the completed video of my ink drawing alphabets.